When John Williams returned to the Star Wars films in 1999 with Episode I: The Phantom Menace, there was something quite different about his approach to the score. Of course, the main theme and a handful of other old themes were still present, but when it came to new themes, the one that now stood out from the rest was not a theme based on character but on action: Duel of the Fates, the theme that accompanies the film’s final light-saber battle. The film music analysis that follows discusses some of the most prominent aspects of this theme. Why Highlight an Action Theme? Looking back on the first three Star Wars films, it is clear that the most salient new theme (or themes) from each is based on a character or group of characters. In Star Wars, the two most prominent themes, the main theme and the Force theme, represent Luke and the Jedi, respectively. In The Empire Strikes Back, it is the Vader theme that takes center stage by a large margin, and in Return of the Jedi, the Ewoks’ theme is the most emphasized new theme, particularly in the Battle of Endor sequence. Note that, in each of these cases, the salient theme(s) are associated with the character(s) that are the most important in achieving the narrative’s conclusion in each film: in Star Wars, it is Luke and his use of the Force that destroy the Death Star; in Empire, there is the stunning reveal of Vader’s relationship to Luke; and in Jedi, it is the Ewoks who win the Battle of Endor and allow the Rebels to then destroy the Death Star once again. The Phantom Menace, however, is based on a different narrative outlook. Certainly, it ends with a temporary victory for the Republic over the Trade Federation, but the film is much more self-conscious in that it is inextricably tied to its two succeeding films in a way that Star Wars is not. After all, the main goal of The Phantom Menace is to describe the precursors of both the Empire and the Emperor and to establish some of the foundations for Anakin’s future transformation into Darth Vader. Such narrative goals lean much more towards beginnings than conclusions, and thus the sense of resolution at the end of The Phantom Menace is deliberately less decisive than in any of the first three films. Hence, to single out one character or group of characters over another would have been at odds with the narrative purpose of the film. At this point, the cynical reader may believe that the “real” reason that a character theme does not dominate The Phantom Menace is because of the characters themselves, whose traits are less sharply defined than in the original trilogy (a criticism often leveled at the prequels). I would argue, however, that the precursor emphasis of the plot does not leave room for a hero as all-powerful as Luke, nor for a villain as all-powerful as Vader or even the future Emperor. Because of the plot constraints, none of the main characters are able to either save or threaten the good guys to the extent that they do in the first three films. 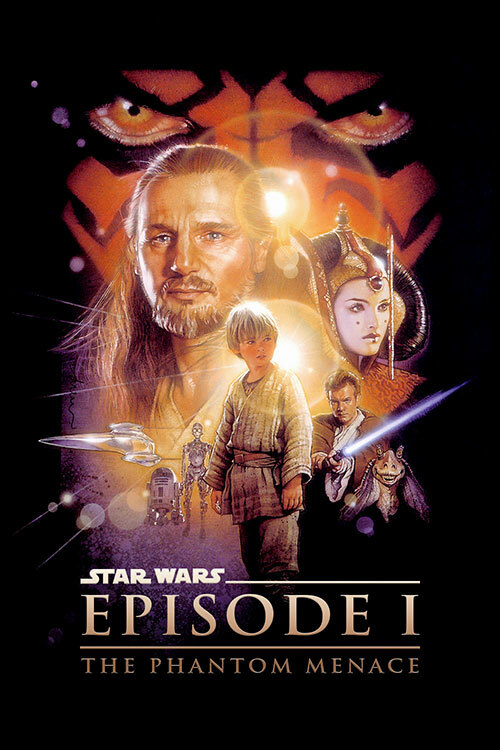 In other words, the narrative focus in The Phantom Menace is less on character development than it is on action of all kinds, so from this perspective, it is not all that surprising that the most salient new theme should accompany the most climactic action of the film: the light saber fight between Darth Maul and the two Jedi, Qui-Gon and Obi-Wan. Clearly, Duel of the Fates functions as climactic dueling music, a meaning that is reinforced when the theme reappears with the fight between Yoda and the Emperor in Revenge of the Sith. But the Fates theme also appears in Attack of the Clones when Anakin is scouring Tatooine in search of his mother. Of course, the theme accompanies no duel here, so skeptics may take the view that, besides conveying Anakin’s agitation at this point, the meaning of this statement is rather nonsensical, the result of George Lucas being infatuated with the theme to the extent that he demanded it even where it is not appropriate. However, it must be remembered that, although the theme accompanies fight scenes between Jedi and Sith, it also emphatically marks those scenes with a high degree of importance: in The Phantom Menace, the duel brings the death of Qui-Gon, which forces Obi-Wan to become Anakin’s mentor (and hence allow for the later rivalry between the two), and the death of Darth Maul, which leaves room for Count Dooku to become Darth Sidious’ next apprentice and wreak havoc in the next film (including cutting off Anakin’s arm—another step towards the more machine-like Vader). The placement of Duel of the Fates with Anakin’s search for his mother therefore operates in much the same way as the Force theme does just before Anakin embarks on his search (discussed in the first post in this series). That is, it highlights the revenge that Anakin seeks on those who captured his mother and who will ultimately be responsible for her death, an emotion that begins his gradual transformation into Darth Vader. Notice that this choral version of the Fates theme not only uses the same text as Darth Maul’s theme (“Korah Matah, Korah Rahtahmah”) but articulates it in the same rhythm. In this way, the opening of Duel of the Fates is essentially a fleshed-out version of Darth Maul’s leitmotif, signifying the causal character in the film’s climactic saber duel. This harmonic similarity certainly does not evoke Vader the way, say, the end of Anakin’s theme does. After all, just about everything besides the harmony in this short passage is quite different from Vader’s theme. But it does create a subconscious link between Darth Maul and Darth Vader, suggesting that they are of a kind, that is, apprentices to Darth Sidious / the Emperor. As the most prominent theme from The Phantom Menace, Duel of the Fates may seem to serve a more utilitarian purpose than most other major themes in the Star Wars films in that it is associated with action rather than a character. But as we have seen, the decision to highlight an action theme in this way well serves the film’s emphasis on establishing origins and precursors rather than focusing on character development. In addition, the theme’s unusually memorable ostinato, its broader application at narrative high points, and its references to both Darth Maul and Darth Vader all allow it to rise above the status of a mere action theme (as well done as it is in that respect) and accumulate the sorts of richness in meaning that the other major Star Wars themes tend to possess. Coming soon… Across the Stars. Thanks for your insightful analysis. “Duel of the Fates” was — and still is! — a jaw-dropping addition to the amazing canon of music Williams composed for this series. Wow, I’m still in awe of this piece! As far as thematic connections, is the “Force Theme” not included heavily throughout “Duel of the Fates”? If you take the “Force Theme,” change the key, and speed it up, you get the melody first heard at 00:24. Take that melody, play it backwards, and speed it up, and you’ll get the ostinato first heard at 00:15 and then continuously in the background. That would really make the piece symbolize a “duel.” We have the modified “Force Theme” playing against the “Force Theme” backwards (“The Anti-Force Theme” since there are other themes to represent the dark side). Does anyone else notice that? Thanks for this elegant analysis, as ever, Mark. As a format note, I would personally have preferred some notation in here too. I always admire the exceprts of score with the annotation to follow your commentary, and, while the youtube links are helpful, you can only listen to one at a time, whereas it’s easier to move between visual cues of the score more quickly and easily. The analysis of the Star Wars main theme, Force Theme and Imperial March had this, and I found it extremely easy to follow, with your narrative. Many thanks for the effort, and superb site.